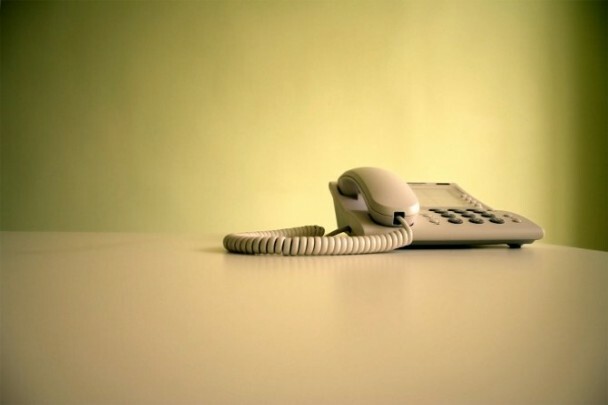 How To Make Cold Calling In Business A Success? If you are an entrepreneur or have been in business for long, you are already aware of the fact that it is simply impossible to avoid the cold calls. You know that getting to the right person or the right clients for getting permits, loans or a favour of any kind is a part and parcel of business which is here to continue. With absolutely no experience with the cold calling, you are only harming the pace of your business in the long run. When it comes to the cold calling, one can conclude that the rate of success is slow and often unpredictable but one thing must be kept in mind that it does impact your overall business in the long run. Number of successes with the cold calls is not always few and even if it is; we can suggest six good ways to go about it in the best way possible. You are there to sell but you are there only to sell, should not be the message on the front. Make sure that you can treat your product or your service as a key to the solutions that your customers have been asking for. Sell with confidence and choose your words for approaching quite wisely. Your confidence is going to impact your business in a huge way. Get to the point straight away and don’t hesitate in making monster size claims right at the initial phase of the call. Tell them what you intend to do and what benefits can your product actually offer to them. You can also simply begin by saying what makes your service different from others in the market. Say something that grabs attention and don’t forget to hit on an equally pleasing finishing line so that it gets the customer thinking even after you are done with the communication on your sales. You need to learn the art of making good claims with the weapon of conviction and that’s going to stand by you in all the odds within your business. You should be in a position to predict responses from the customer to who you are making the call. You can make a good list of the possible concerns, complaints, questions, objections that you might be required to deal with all of a sudden. Attitude is very important in sales industry and there should be absolutely no excuse to lack in one. Even if your customers are decisive or rude, you must keep the friendly tone going in the conversation. Stay positive throughout the call and maintain a good attitude. You must ensure that you are not only polite but also professional. If you get frustrated too early, then the sales industry is not for you. Have some good deal of patience and return with a bang. If you have a good attitude, you are actually going to have a better chance of accomplishing your goals. This is true with the sales professionals who are required to handle cold calls every now and then. You must learn to be patient and have a good deal of positive impact with your positive mind and attitude. Have a smile on face and show that you are up for more challenges. Customers are surely going to respect you for what you are and what they think they still can’t be. Hanging up the phone abruptly on seeing that you are not being able to hit a goal successfully is only going to make things worse by letting you break all possible ties with the customer in the long run. It is always important for an entrepreneur to learn and master the art of cold calling. Sooner you learn, better are your chances of promoting your business. Make sure that you have got your targets soaring high and it should be even higher than one would expect you to have normally. The secret is having more calls to deal with one after another so that you can deal with rejection quickly and even overcome it. Learn from fellow colleagues and the pace of learning, for you, should never witness a ‘pause’ in the sales industry. This article is contributed by Evans who is associated with leading UK based supplier of mobile safety steps – Safety-Steps.co.uk. Visit its news section.